The 2019 Kia Soul is a sleek, stylish, and adventurous crossover that can certainly elevate your excitement while traversing throughout the Jenkintown, Rydal, and Glenside areas. If you’re currently considering your options and the 2019 Soul is on your list, you may want to delve in a little further to see what it can truly offer to your experiences on the road. At Sussman Kia, we’re going to showcase to drivers what the 2019 Kia Soul offers. This way, you can learn enough to tell if it’s right for you, and when you go to experience it, you’ll know what to look for! The Kia Soul comes standard with a 2.0L 4-cylinder engine that can deliver 160 horsepower and 149 lb-ft of torque. It comes mated to a 6-speed manual transmission, but drivers have the option of selecting the Electronically Controlled 6-Speed Automatic. Drivers looking for a little more punch with their performance can select the 1.6L 4-cylinder engine with a turbocharger. This engine comes paired with the 7-Speed Dual-Clutch Transmission and can produce 201 horsepower and 195 lb-ft of torque. Looking to finance your next car? Contact the experts in our finance center to get started! There’s 101 cubic feet of cabin space in the 2019 Soul that can accommodate for five passengers. The first row offers passengers 37.9 inches of headroom and 40.9 inches of legroom. Passengers riding in the second row are offered 37.9 inches of headroom and 39.1 inches of legroom. The Soul also offers 24.2 cubic feet (18.8 cubic feet with cargo tray) behind the second row. However, if you fold the second row, the space opens up to 61.3 cubic feet (49.5 cubic feet with the cargo tray in place). As you can see, the Kia Soul offers enough space to accommodate your passengers and your cargo. The Soul comes equipped with a 5-inch touchscreen display, but drivers can opt for the 7-inch screen. This screen allows you to select your media for the ride, with options including the AM/FM radio, a device connected through the USB or auxiliary input, or even one of the 150+ stations included with the 3-month trial of SiriusXM® Satellite Radio. The screen also includes voice recognition, allowing drivers to keep their hands on the wheel and use their voice to select their media options. There are plenty of available features that drivers have the option of including with their 2019 Soul. Features like Apple CarPlay™ and Android Auto™ are available to include to integrate their smartphone into the vehicle’s touchscreen. 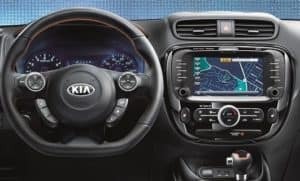 While this informative 2019 Kia Soul review may have helped you learn more about this stylish and reliable crossover, you may find that dropping by Sussman Kia for a closer look to be the deciding factor that you need. When you decide that it’s time to take the next step, you can always come by and see us for a closer look or for some time behind the wheel! 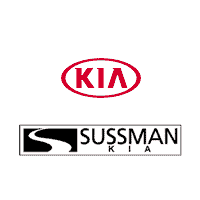 Schedule your test drive with us at Sussman Kia! We’re here to assist drivers throughout Jenkintown, Rydal, and Glenside for when they’re ready to find their next car.